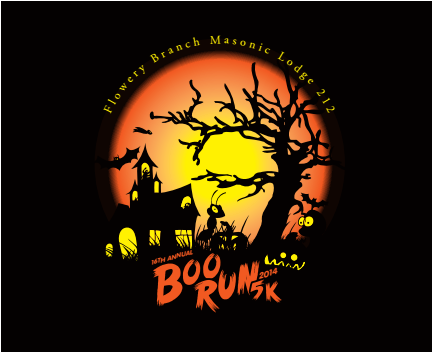 Come celebrate Halloween in Flowery Branch, GA with the 13th Annual 5K Boo Run. The start/finish is located at the Old Train Depot in downtown Flowery Branch. Proceeds from the race will benefit the ongoing charity programs sponsored by the Flowery Branch Masonic Lodge 212 F&AM. (Saturday) 8:00 am - 12:00 pm EST.